As an SEO consultant, I hear all manner of concerns relating to site ranking. However, one of the last to be mentioned, if at all, is the ‘spider trap.’ With so much focus given to great content, acquiring links and creating a dynamic social network, the importance of the web crawler is often overlooked. We shouldn’t put our heads in the sand about this particular issue. Yes, it’s complex and widely misunderstood, but chances are if you own an eCommerce site or are completing an audit of an established website with a keyword search function, it’s more likely than not that this problem already exists. And a spider trap can mean bad news for your SEO profile. It is often a complex web to untangle (pun intended); however, identifying and fixing spider traps is possible and a necessary step to making sure your website is receiving the attention it deserves. What is a spider trap? A spider trap (or crawler trap) is a set of web pages that may intentionally or unintentionally be used to cause a web crawler to make an infinite number of requests or cause a poorly constructed crawler to crash. It occurs when a site creates a system that produces unlimited URLs or ‘junk’ pages. This structural problem will cause a web crawler to get stuck or trapped in your ‘junk’ pages. We know that these ‘spiders’ or ‘robots’ are essential for crawling our sites, indexing our content and ultimately displaying it to our target audiences. So, if a website doesn’t allow a spider to move through it seamlessly, the spider will reach its allocated bandwidth allowance and move on to the next website. In this case, the site will be deemed ‘less than optimal’ and be downgraded under a competitor’s rankings. If the problem is extensive, certain pages of a site might never make it to the SERPs and will therefore never be seen. What does a spider trap look like? 1. 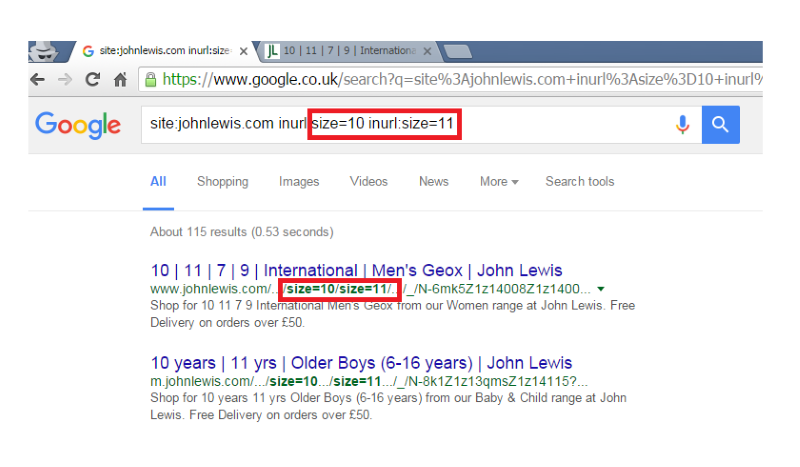 Never-Ending URL: infinite different URLs that point to the same page with duplicated content. 2. Mix and Match Trap: the same information presented in endless different ways (e.g. millions of different ways to sort and filter a list of 1000’s of products). 3. Calendar Trap: pages that are technically unique, but provide no useful information (e.g. an event calendar that goes thousands of years into the future). 4. Session ID Trap: near-duplicates with pages that differ by some infinite detail. Dealing with The Never-Ending URL trap is as annoying as that schoolyard song. It can be hidden in pretty much any website and is commonly the result of a poorly-formed relative URL or a poorly constructed server-side URL rewrite rules. How do you identify it? The crawl will momentarily run normally as the spider trap is invisible until the crawler reaches the ‘junk’ pages on the sites. At some point, the list of crawled URLs will start to take a strange form, where each new URL is just a more extended version of the previous one. As the crawl continues, the URL will get longer and longer because ‘it just goes on and on my friend…” (you get my point). Using the crawler tool used to locate the trap, set the functionality tool to sort by URL length. After doing this, select the longest URL and you’ll find the root of the problem. Following this, it’s important to sift through the source codes of the page in question looking for any further anomalies. If you are knowledgeable in programming, there is a technical solution to solving the issue. Disallow the offending parameter within the robot.txt file or add server-side rules which ensure the URL string doesn’t exceed the maximum limit. This trap occurs when a site has a number of items that are sorted and filtered in a myriad of ways. When it becomes evident to a spider that it is possible to mix, match and combine various filter types, it will be sent on an infinite, never-ending loop through a series of filters as a result of all the options available to it. The use of common filters such as color, size, price, or a number of products per page are some of the many tags that can create issues for a crawler. Look for elongated URL strings and various recurring filtering tags. A never-ending loop within a crawler tool is again a red flag highlighting that your site might not be configured to handle faceted navigation in an SEO-friendly manner. Notice how this spider trap has caused filtered pages to be indexed which could dilute the site’s ranking potential. Limit the extent of the trap by using robots.txt to block pages with too many filters. Be careful to ensure a balance when doing this – block too many and the crawler will no longer be able to find your products. The occurrence of a calendar trap isn’t the result of a technical oversight. Rather, it’s legitimate URLs that relate to time, which as an infinite property can create countless URLs. And as we already know, this can cause significant problems. This is a relatively easy type of spider trap to understand, spot and address. If you have a calendar on your site to enable viewers to navigate and book an event, and it extends all the way to 3016, chances are your site is caught in a calendar trap. Use a ‘noindex, nofollow’ meta tag on ‘beyond reasonable date’ years as an option. Or employ the robots.txt file to disallow any date-specific URLs beyond a specific timeframe. These days, it proves somewhat uncommon, as most website plugins and self-built sites come with these considerations already built into their infrastructure. Session ID Spider traps are common on larger eCommerce sites. They are embedded within the URL of the website and are fundamentally used to track customers as they shop from page to page. However, the IDs cause problems when they create a vast amount of links for the spider to crawl. The search engine will index the same page over and over with only a small change to the URL. Look out for tags like ‘jsessionid’, ‘sid’, ‘affid’ or anything similar within the URLs strings as a crawl unfolds, with the same IDs reoccurring beyond a point where the spider can successfully move on the next ID-laden URL string. To rectify the issue, it’s crucial to remove the session IDs from all available redirects and links. 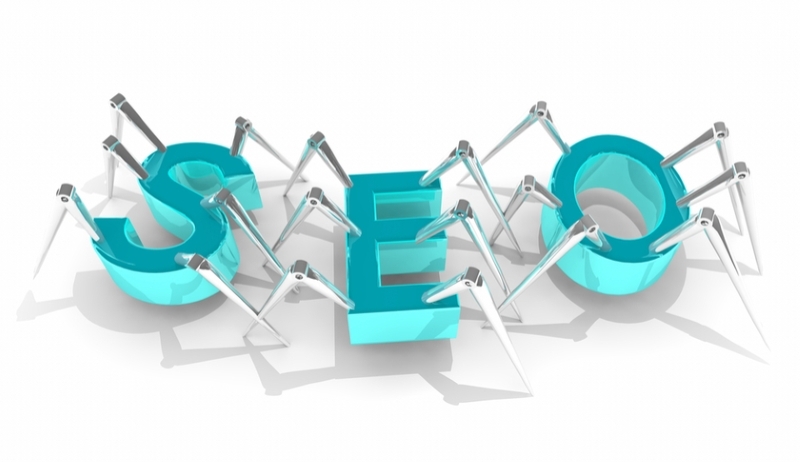 What can a spider trap do to your SEO? A spider trap should be avoided at all costs as it decreases your site’s ability to be crawled and indexed, which in turn will greatly impact your overall organic visibility and rankings. Forcing search engines to waste most of their crawl budget loading useless, near-duplicate pages. As a result, the search engines are often so busy with this that they never get around to loading all of the real pages that might otherwise rank well. If the trap-generated pages are duplicates of a ‘real’ page (e.g. a product page, blog post etc.) then this may prevent the original page from ranking well by diluting link equity. Quality-ranking algorithms like Google Panda may give the site a bad score because the site appears to consist mostly of low-quality or duplicate pages. So, there you have it: the complete guide to locating and removing your spider traps. They derive from a variety of causes and vary in their level of severity. However, they all prove to be a major deterrent to any website’s success. Make sure you do your research before you find yourself caught in this sticky web. Nice insights in here. Never heard of the spider trap, but it does make sense! Great post. I’d never heard it referred to as a spider trap but it makes sense that it could have serious implications for crawl budget and deter pages from being indexed. Thanks for sharing this.